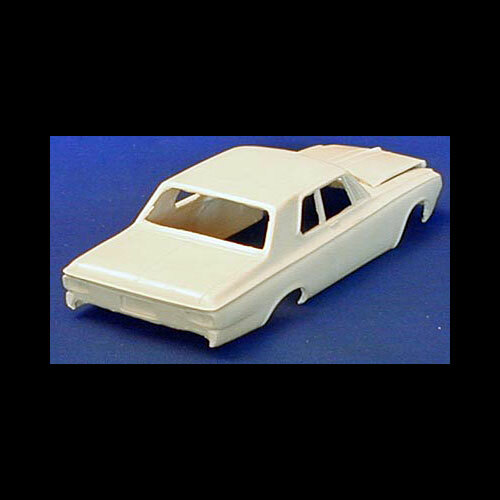 1964 Plymouth Savoy 2-Door Sedan by R&R Resin. One piece body, hood, chassis, interior tub, dash, seats, bumper, grille, taillights, and vacuum formed windshield. 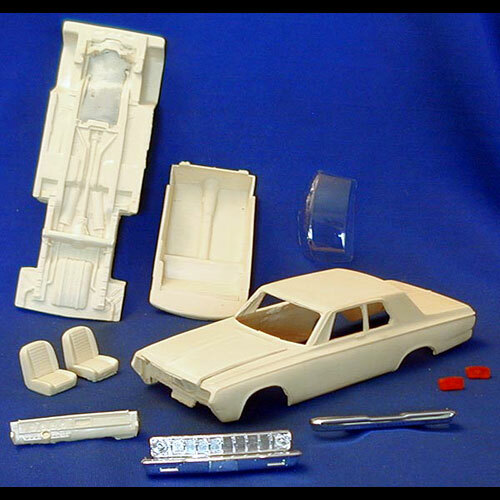 This resin model / body may require a Plymouth model kit for donor parts to finish.